CSI Magazine has revealed the shortlist of 16th Annual CSI Awards. 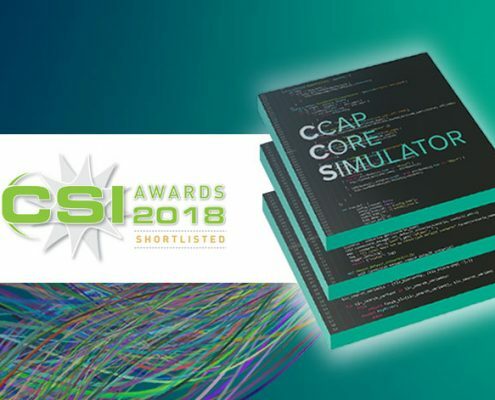 We are excited to announce that VECTOR TECHNOLOGIES has been shortlisted in Best Network Delivery Technology with its development CCAP Core Simulator (CCS). The CCAP Core Simulator (CCS) is a pure software validation platform that emulates the CCAP core with all logical functions. These are required for RPD proper operation. It allows Multiple System Operators (MSOs) for testing RPD from multi-vendors to achieve full interoperability in compliance with the MHAv2 set of the specification. Thanks to the CCAP Core Simulator, MSO can successfully secure Remote PHY deployment in their network. The role of the CCAP Core Simulator in the market is essential. The purpose of our solution is simple: help the cable MSOs to achieve an interoperable and reliable solution as quickly as possible. Thanks to the CCS, MSO can successfully secure Distributed Access Architecture deployments in its HFC plant and reduce the operational cost. All the network bottlenecks caused by moving into Distributed Access Architecture can be easily identified before they will limit deployments. The winners will be revealed at 4 pm (UK time) on the 14th September 2018. We keep our fingers crossed! The complete shortlist is available on the CSI Awards website.